This gorgeous Drop Garland is meant to be draped all around the home during the holidays. The full diameter gives areas a lush, natural feeling that is ideal for Christmas decor. Each length of Christmas garland measures approximately 2.4-metres in length, so use it to bring a festive flair to your mantle, a wintry look to windows, or a welcoming touch to your front door. 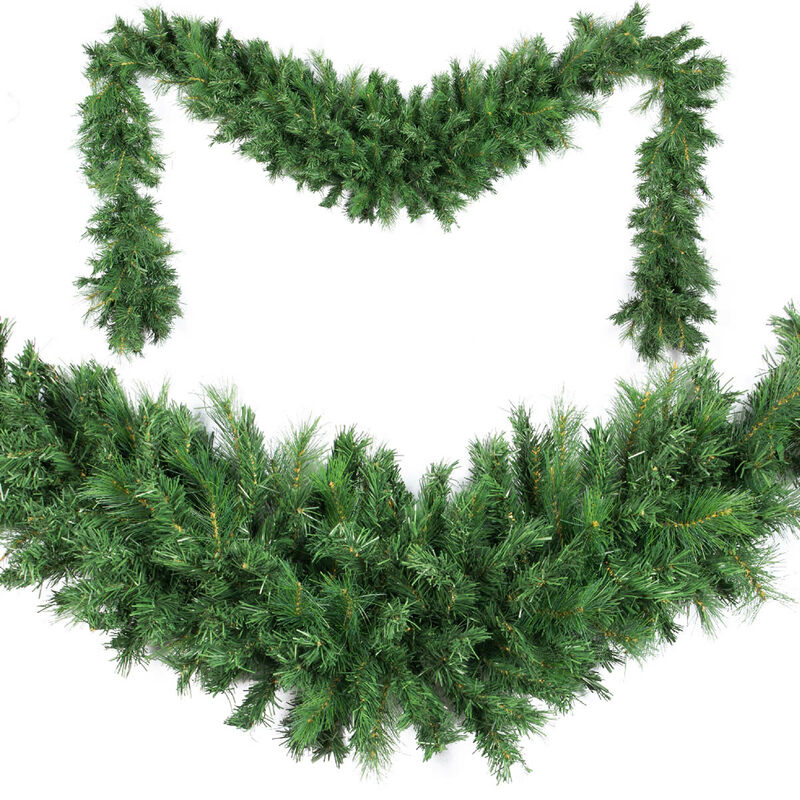 Some may choose to add this evergreen garland to their tree to fill in bare spots or give it more girth for hanging beloved ornaments. There are so many uses for this garland, and the fact that you can use it year after year makes it a prudent alternative to buying fresh garland or creating your own. You may hang a few baubles on the garland to give it a distinct look, or leave it alone for a simple sublime look that others will envy.